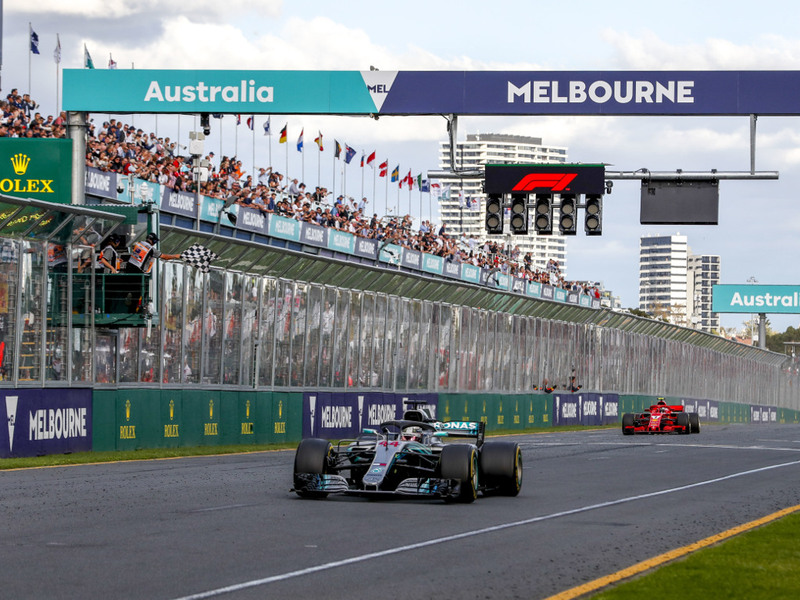 The long wait is over and F1 is finally back for 2019 with the season-opening Australian Grand Prix Albert Park in Melbourne. Can Lewis Hamilton maintain his and Mercedes’ dominance with yet another title-winning season? Can Sebastian Vettel finally get Ferrari over the hump and end that 12-year drivers’ title drought or will he feel the pressure from new team-mate Charles Leclerc? Will this be the year Max Verstappen makes the leap from brilliant pretender to true contender? Will Kimi Raikkonen still be the king of cool at Alfa Romeo? And how much will the sport miss Fernando Alonso? This weekend will give us the first peek into what the 2019 season has to offer, and what a season it promises to be. Here is everything you need to know about the big weekend in Melbourne. What time does the Australian Grand Prix start? Where does the Australian Grand Prix take place? The Albert Park circuit is a temporary track which is only used once a year to host the Australian Grand Prix. Securing the rights until 2020 to be the season-opening race offers Melbourne a sense of prestige and excitement that other races will never garner. It was, however, hard-fought as Melbourne has had to overcome stern protests from the environmental lobby as well as constant questions about the race’s financial worth to the state of Victoria. The circuit has an interesting combination of fast, flowing corners, and a tight “hairpin” type bend system onto the start-finish straight. The track has 16 corners named of some of Australia’s F1 icons such as Sir Jack Brabham and Alan Jones. In 2015, in light of a new rule insisting that races finish well before sun set, the start time for the Australian GP was moved forward by an hour to 4pm local time. Following regulation changes in 2017, the track made modifications to accommodate the faster cars but that also prompted officials to add more safety precautions to the circuit. Sunday’s race will be run over 58 laps and a total distance of 5.3km. Where can I watch the Australian Grand Prix on TV? Australian Grand Prix weekend – including the race proper – will be screened live in the UK by pay-TV broadcaster Sky Sports on its dedicated Sky Sports F1 channel. Highlights will be aired by free-to-air broadcaster Channel 4. What is the weather forecast for the Australian Grand Prix? Friday March 15: 22C, scattered showers. Saturday March 16: 24C, mostly sunny. Sunday March 17: 27C, mostly sunny. Which drivers have won the Australian Grand Prix? Lex Davison and Michael Schumacher hold the record for most victories in the Australian Grand Prix with four each, while current Ferrari ace Sebastian Vettel is closing in fast on that mark after taking his tally to 3 with victories in the last two runnings in 2017 and 2018. Ferrari and McLaren are the most successful constructors, with 12 victories each. F1 have made the decision to award a bonus point in every race of the 2019 season if certain criteria are met – starting with Sunday’s Australian Grand Prix in Melbourne. What are the odds for the Australian Grand Prix? Sebastian Vettel is favourite to win the Australian Grand Prix according to major British bookmaker Bet365. What is the driver line-up for the Australian Grand Prix? In Melbourne C2 will be the white hard tyre, C3 will be the yellow medium tyre, and C4 will be the red soft tyre. The post When is the Australian GP? Start time, TV channel, latest odds appeared first on PlanetF1.